Are you a Palm Springs Mercedes owner who is looking for the right dealership to complete yearly upkeep? Then look no further than Mercedes-Benz of Palm Springs, where we’ll be able to complete a number of routine but important tasks in our service center, including tire rotations. The knowledgeable tire experts in our tire center will get you out on the road so you can continue to enjoy your Mercedes-Benz vehicle in Palm Springs. The health of your vehicle depends on regular maintenance, including tire rotation services. During a tire rotation, our technicians move the tires from one side of the vehicle to the other. In order to rotate tires, our mechanics just jack up the car, remove the tires, and then swap those on one side for those on the other. This simple task is also made more affordable with help from our service specials — so be sure to keep an eye out for our latest deals before scheduling your appointment. The more you drive, the more quickly your tires will start to wear down in certain areas. However, by rotating them, you can prevent the wear from becoming too imbalanced. Tire rotations also have a number of other beneficial effects. Rotating your tires helps improve gas mileage and can strengthen the long-term health of your vehicle. Tire rotations can also help in reducing vibrations that can impact your suspension. 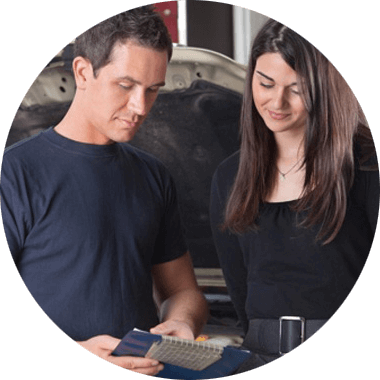 Finally, scheduling a tire rotation appointment also gives mechanics a chance to look around and identify other problems with your car. If you have any other questions about tire rotations or other services, contact us online today. One of our experts will get in touch with you ASAP to answer your questions. If you don’t have any questions, then go ahead and schedule your service appointment with Mercedes-Benz of Palm Springs today! We look forward to helping you with your tire rotation or your other car service needs.